A Private Company need to have Minimum paid-up capital of Rs. 1 lakh as against Rs. 5 lakhs for Public Company. A Private Company can be formed by just two persons as against minimum seven persons required for incorporation of a Public Company. A Private Company need not file Statement in lieu of Prospectus with ROC. There is no prohibition on a Private Company, which is not a subsidiary of a Public Company, to provide financial assistance to anyone for purchasing or subscribing for its own shares or of its holding Company. The Provisions of these Sections deals with kinds of share capital and that voting rights should be proportionate to the paid-up capital, prohibiting disproportionately excessive voting rights. These Sections are not applicable to a Private Company unless it is a subsidiary of a Public Company and such Company may issue share capital of any kind and with such proportionate or disproportionate or other voting rights as it may think fit. The provisions of these Sections are about transfer of shares and debentures which shall not prejudice any power of a Private Company under its Articles to enforce the restrictions in rejecting a particular transfer of shares of the Company. Procedure for obtaining Certificate of Commencement of Business do not apply to a Private Company. A Private Company can commence its business as soon as the Certificate of Incorporation is issued by the Registrar of Companies. Private Company is not required to hold statutory meeting or prepare any statutory report. Statements, Quorum for meeting, Chairman of meeting, Restrictions of voting rights, etc. can be made to the extent to which the Company makes provisions in its Articles. Passing of resolution by Postal Ballot is not relevant for Private Company. Ceiling on overall managerial remuneration not applicable to a Private Company. A Private Company, which is not subsidiary of a Public Company, may remunerate those in management, by such higher percentage of profits or in any manner as it may deem fit. Restrictions on appointment of any firm or body corporate to office or place of profit is applicable to a Private Company which is not a subsidiary of Public Company. Only the Member of Private Company which is not a subsidiary of Public Company is entitled to inspect or obtain copies of Profit and Loss Account of the Company . The ceiling on the number of Companies an Auditor can audit, does not include audit of Private Limited Companies. Minimum Directors for a Private Company is 2 (two) against 3 (three) in case of Public Co. The provision requiring to give 14 days notice by new candidates seeking election as directors and depositing of certain amount (Rs. 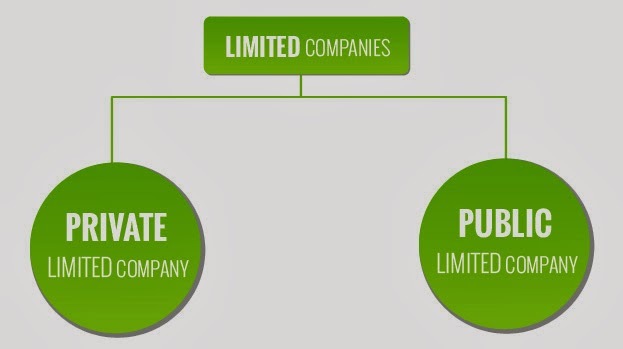 500) are not mandatory for Private Company which is not a subsidiary of Public Company. Central Government approval for increasing number of directors beyond the permissible maximum (presently 12) not required for Private Company which is not a subsidiary of Public Company. The provision relating to manner of filling casual vacancy among directors and the duration of the period of office of those so appointed do not apply to Private Company which is not a subsidiary of Public Company. Appointment of two or more persons as directors by a single resolution can be done by Private Company which is not a subsidiary of Public Company. Filing of consent of candidate for directorship with the Registrar of Companies is not applicable to Private Company which is not a subsidiary of Public Company. Central Government approval for amendments relating to appointment/re-appointment of a Managing Director/Whole-time Director/not liable to retire by rotation is not required by a Private Company which is not a Subsidiary of a Private Company. A Private Company which is not a subsidiary of a public Company may in its Articles provide special grounds for disqualification for appointment of person for the office of a Director. The Directorships of Private Companies are not to be considered while calculating the limit on number of Companies in which a person can be director. A Private Company may in its Articles provide special grounds for vacation of office of a Director . Provisions relating to formation of Audit Committee are not applicable. Restriction on period of appointment of managing director/manager for more than 5 years at a time do not apply to Private Company unless it is a subsidiary of a Public Company. Provision relating to the determination of net profits and ascertainment of depreciation shall not apply to a Private Company. Restrictions on giving loans or guarantees to other Companies or on making investment in the shares of other Companies do not apply to Private Company unless it is a subsidiary of a Public Company. No. of Companies in which a person may be appointed as manager, the remuneration of a manager and the application of Sections 269, 310 to 312 and 317 in relation to managers do not apply to a Private Company unless it is a subsidiary of a Public Company. Restrictions on Contract by agents of the Company in which the Company is the undisclosed principal shall not apply to a Private Company which is a not a subsidiary of a Public Company.